Founding member and co-owner of Holiday Inn Soweto Freedom Square, Soweto's first four-star hotel. Lindiwe is the founder member and co-owner of Zuka African Tourism and Investment Corporation (ZATIC) (Pty) Ltd, the owners of Holiday Inn Soweto Freedom Square. Lindiwe's career with Hyatt was launched at the Grand Hyatt, Washington DC, in 1995. 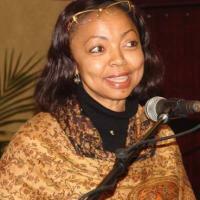 Lindiwe then joined the Park Hyatt Hotel in Rosebank from 1995 until the end of 2000. In 2001, Lindiwe made the transition to the Department of Environmental Affairs and Tourism as Chief Director, Tourism Support, where her responsibility lay in quality assurance of the tourism sector as well as international and inter-governmental liaison. A year later, Lindiwe's re-entry into the hospitality industry was with the Southern Sun Hotel group, where she held the position of General Manager of the group's flagship, the Intercontinental Sandton Towers hotel. At the end of 2004, Lindiwe left the Southern Sun Hotel group.